Regular visitors to this blog will know I have a bit of a fascination with Gibraltar’s old buildings, the slightly shabbier ones in particular. 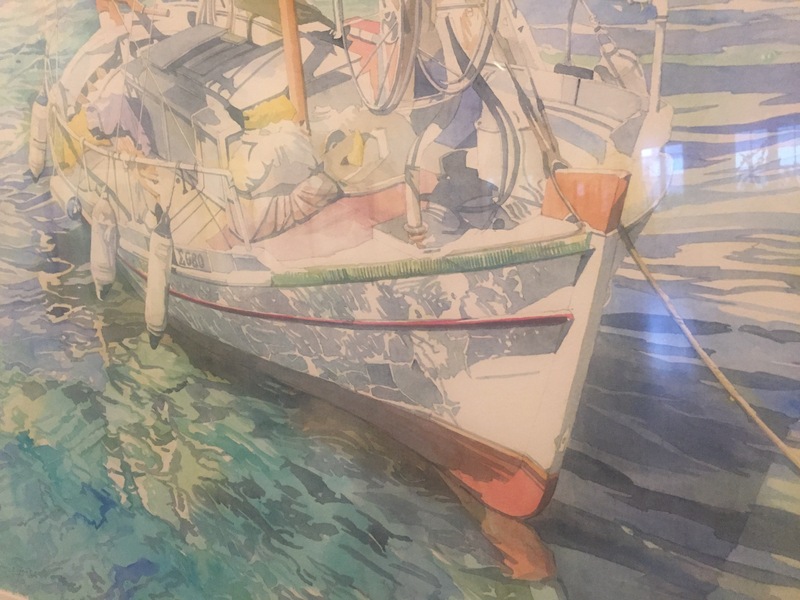 So imagine my delight when I took a few moments to shelter from yesterday’s thunderstorms at the Fine Arts Gallery in Casemates Square and had time for a good look at the James Foot exhibition. 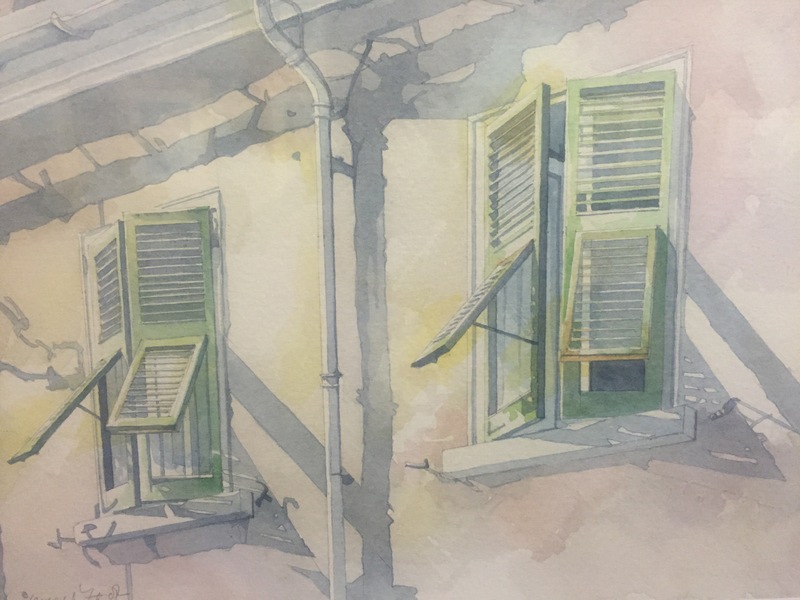 James is an English fine artist who splits his time between his homes in London and Lakonia in southern Greece. 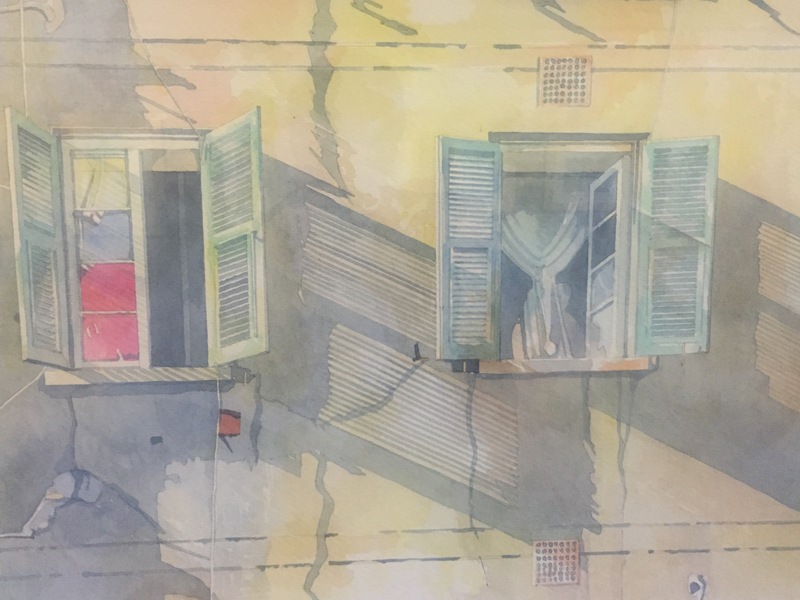 He has had a long association with Gibraltar and has held several exhibitions of his work here over the years. In this exhibition he included a few paintings of Venice and Greece, however the vast majority of his work on show is of Gibraltar. 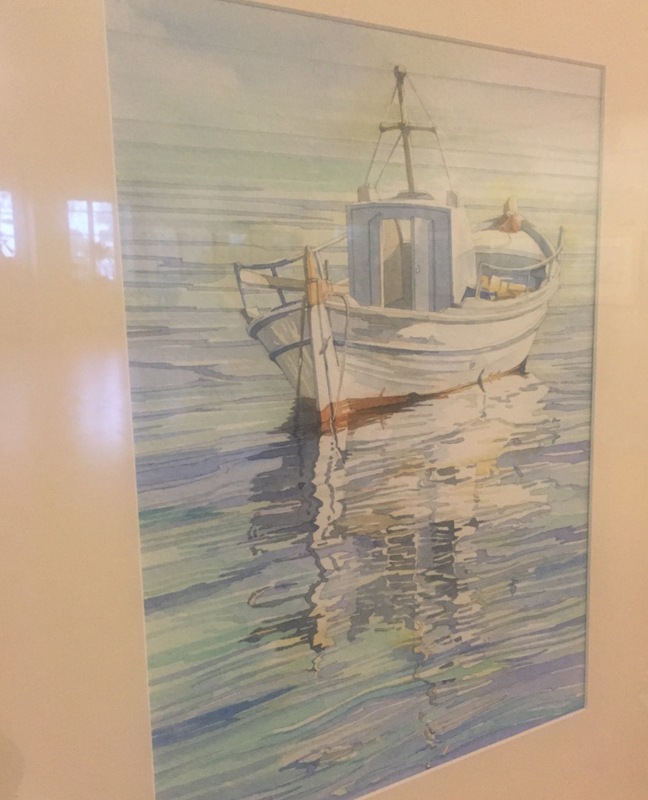 I’m mesmerized by the water in these paintings of Greek fishing boats. So many different shades of blue and reflections – just gorgeous! 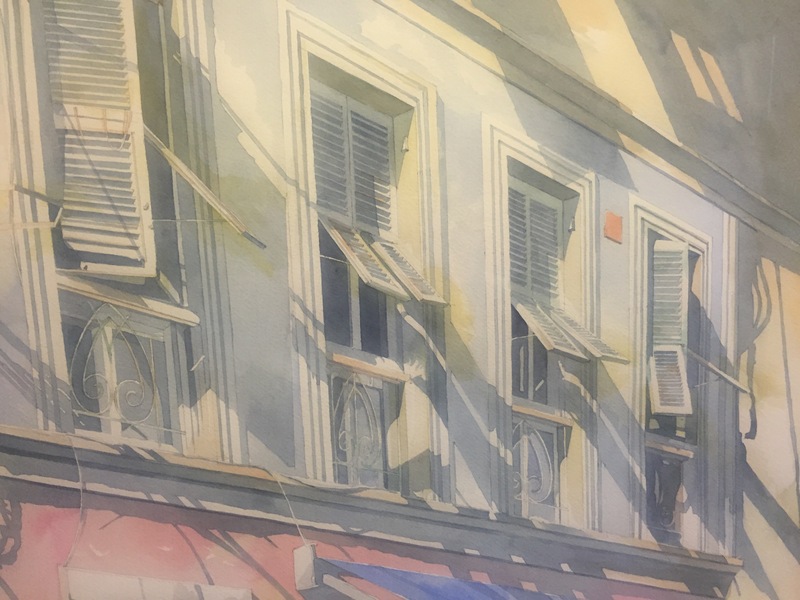 Enough of Greece though, let’s get back to Gibraltar… I promise that I had no idea about James Foot and his work before going on my strolls around Gibraltar looking at balconies, doors and windows. It does rather seem that we are on a similar wavelength when it comes to our appreciation of Gibraltar’s colonial architecture. Just look at the shadows cast by those shutters! Oh to be able to paint like that!! 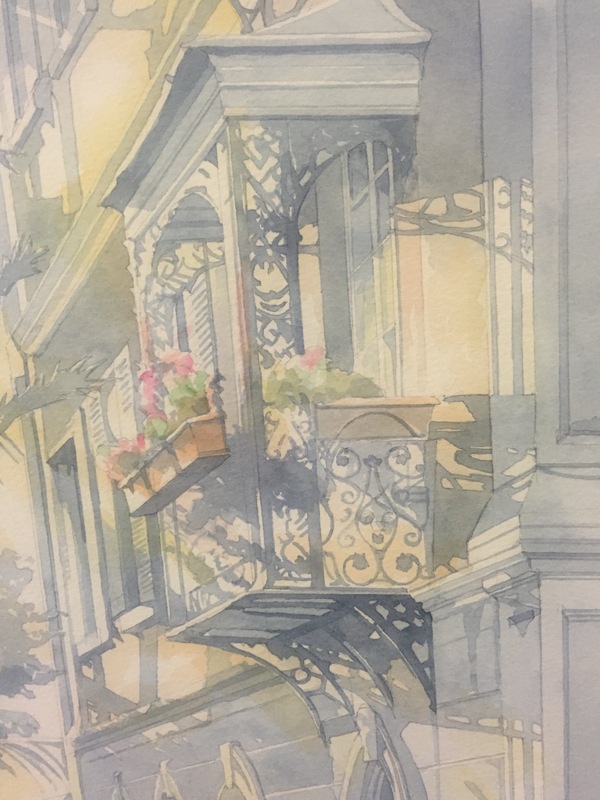 I would love to have a go at painting one of Gibraltar’s ornate ironwork balconies, but I fear that after seeing this great work I could never produce anything half as good – just stunning! And look, do you remember the special door at the rear of Holy Trinity Cathedral with the special ‘Books for Seamen’ letter box which features in my Stroll No 5 about doors? 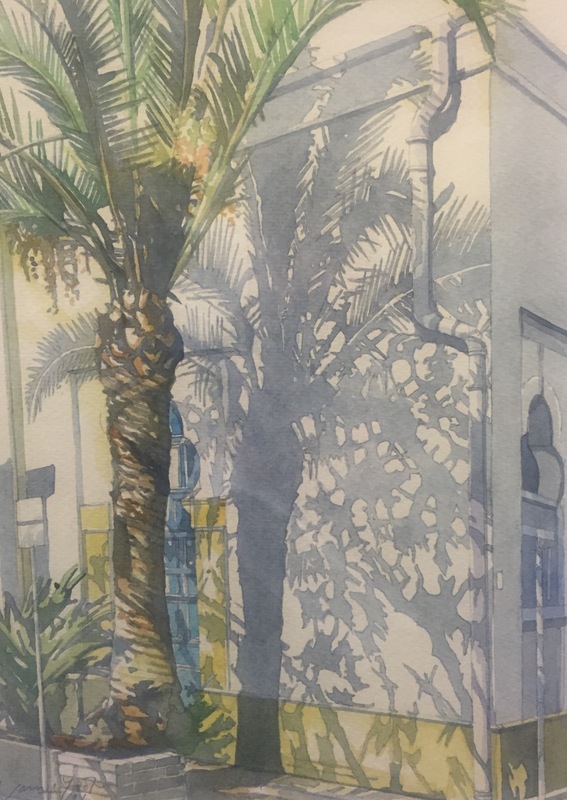 Well even that has been reproduced in beautiful watercolours – can you see it peaking out from behind that palm tree? 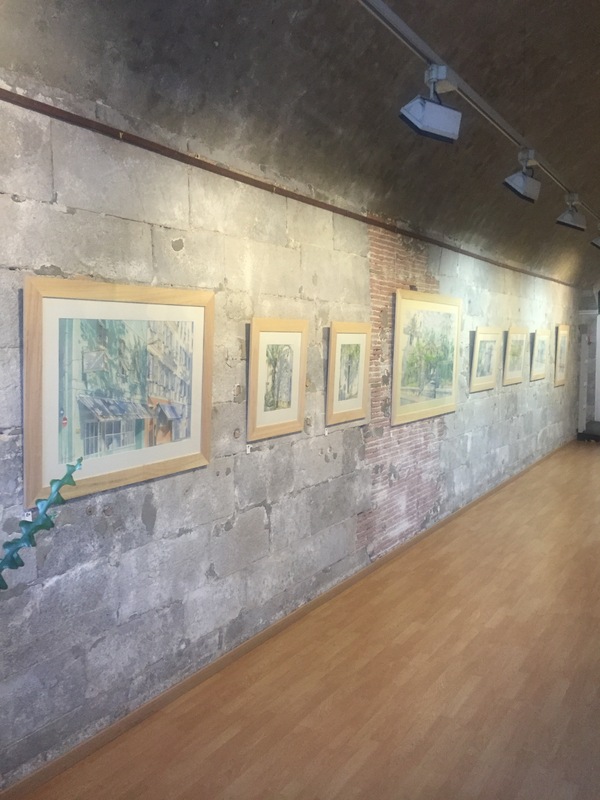 If you are in Gibraltar and want to have a look at these and the many other beautiful paintings in this exhibition (there are 47 in all), you’ll need to be quick. The exhibition’s open for just two more days. I’m so glad I got the opportunity to see this work, thank goodness it rained yesterday and gave me the excuse to stop and take shelter at the gallery! 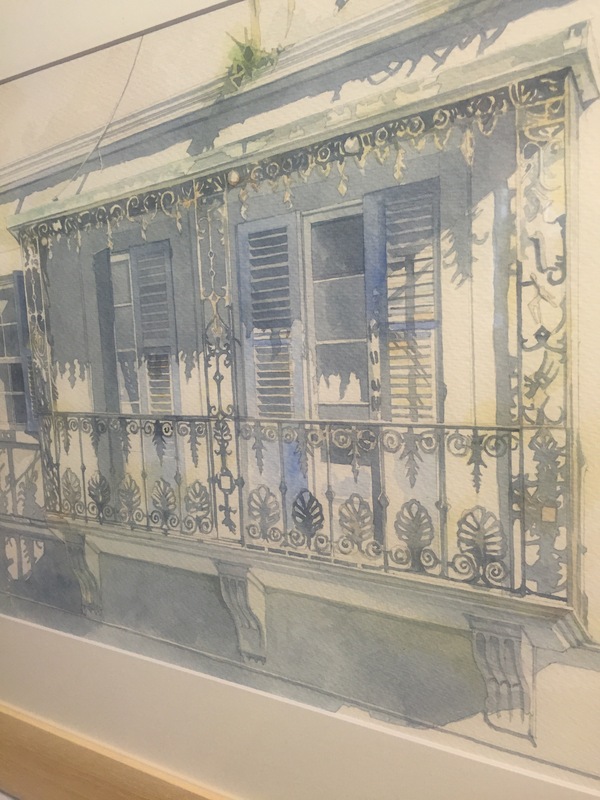 For more information on James Foot and his paintings, do have a look at his website. You sound like you really enjoyed yourself! 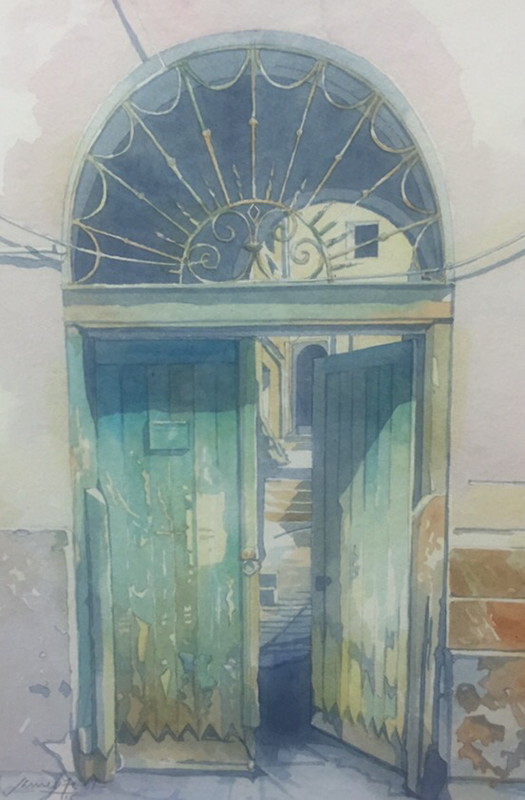 I see from his Home Page that he does a workshop in Gibraltar every year in April – did you know about it? Perhaps next year if you have missed it. They are lovely. He really captures the light well. I know his work is so detailed and precise – really beautiful. 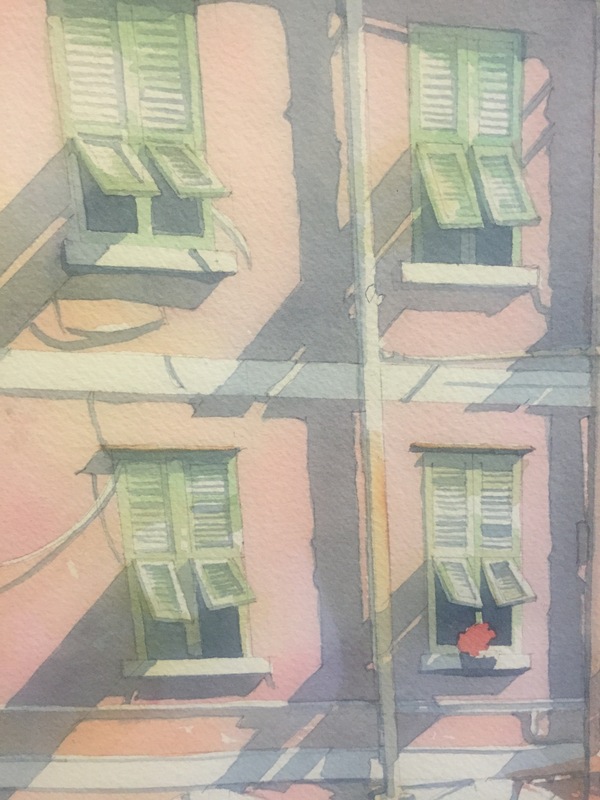 I’m itching to get my paints out now and have a go at more architecture pictures. 🙂 It was perfectly timed, I’d been meaning to take a look but hadn’t got round to it – I probably would have missed it otherwise! I love these paintings, his style is great, what a happy outcome from a storm!